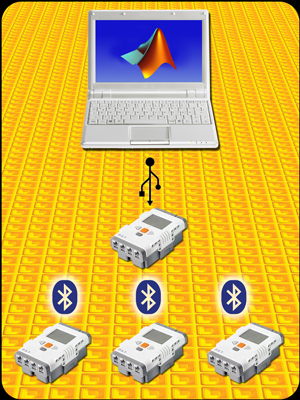 Daniele Benedettelli introduces a MATLAB-based NXC Bluetooth Router. This router relies on connecting a master NXT Brick to a computer via USB. This master NXT Brick then can communicate messages to up to three additional slave NXT Bricks up to a distance of 10 meters from the master. 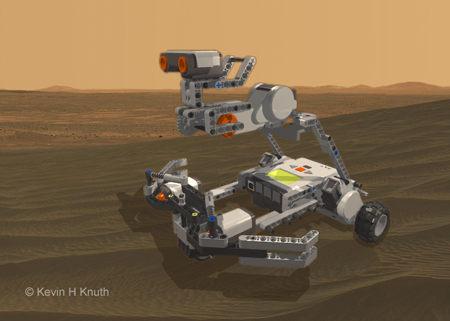 This software would allow one to create small swarms of up to three LEGO robots, which is a nice starting point for investigating distributed robotic systems. 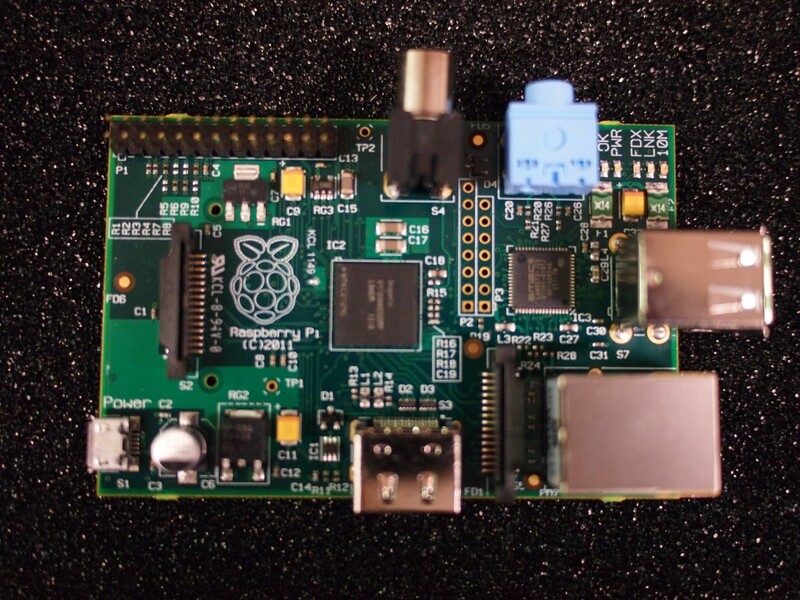 The system relies on the RWTH – MINDSTORMS NXT Toolbox, the NXT Fantom Library, and John Hansen’s enhanced firmware. The brick software is written in Not eXactly C (NXC), which requires Brick CC 3.3. 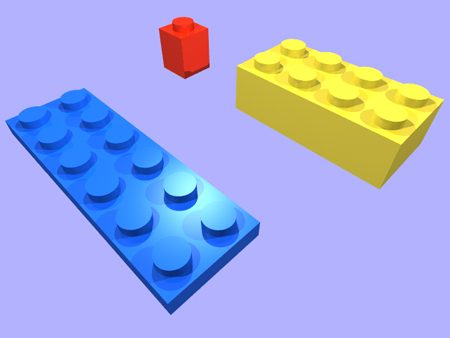 In this tutorial, we will be aiming for a nice simple still image of three bricks. In later tutorials, we will animate them. That will require extra software to put a series of inages together to form a video or an animated gif. I use Adobe ImageReady to make animated gifs, but there are cheaper solutions. 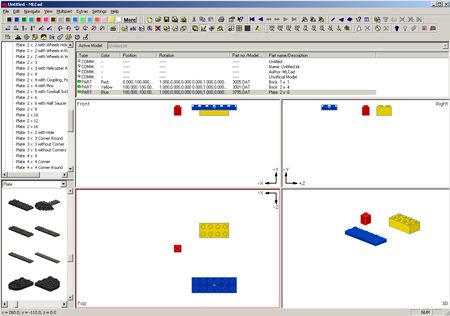 Open MLCad and prepare to place a few LEGO pieces in the scene. 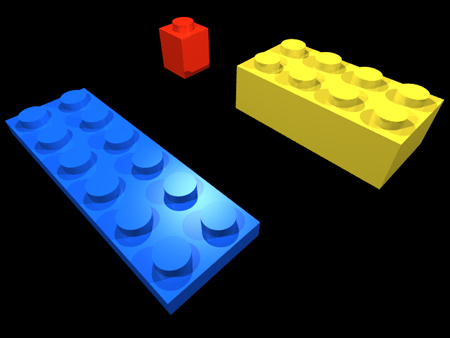 On the upper left-hand side, click on Brick. Drag the 1×1 brick into one of the three viewing panels. With the brick selected click the RED color button to color it red. Following the steps above, find the 2×4 brick in the Brick list (+ will expand the list) and add it to the scene. Set its color to YELLOW and its position to X=100, Y=-100, Z=50. Following the steps above, find the 2×6 plate in the Plate list (you will have to scroll down to the Plate tab) and add it to the scene. Set its color to BLUE and its position to X=100, Y=-100, Z=-100. Be sure that these pieces are all at Y=-100. The -y direction points upward and this will place them above the Y=0 plane. The screenshot below shows what you should see at this point on your MLCad screen. Open LP3AO (L3P-Add-on) keeping in mind where you stored your MLCad files. This figure shows you the basic L3PAO window. Step 2.3: In the middle of the right-hand column is the Quality Level setting. Set this to 2. 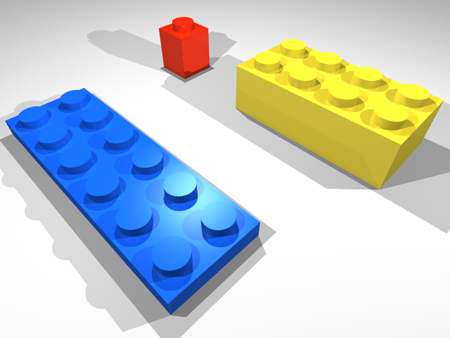 IF you select 3 it prints the LEGO logo on every stud. If you want this, you may leave it. But I prefer to remove them. Step 2.4: At the bottom of the middle column is the Render upon Completion option. This will launch POV-Ray automatically. However, if you have problems with the automatic launch, turn this option off and load it manually. In later tutorials, we will edit the POV-Ray file manually anyway. Step: 2.5: To start L3PAdd-on click on the Run L3P button in the lower right. This will create the POV-Ray part-zoo-1.pov file in the directory you specified, and possibly launch POV-Ray depending on the settings you used in Step 2.4 above. If you launched POV-Ray automatically, you will already have your image. Here we assume that you will render it manually. 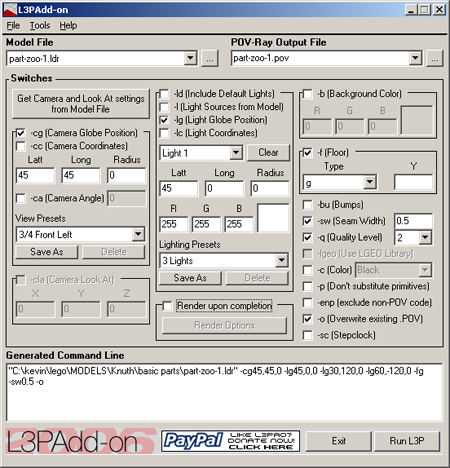 Step 3.1: Open POV-Ray and in the File Menu, use Open File to open the .pov file that was created by L3pAO. Note that the LEGO pieces are lifted up above the floor. This is because we set their y-coordinates to be -100, which is above the floor at zero. Remember that negative y is up. We now look to change a few features of our render. Step 3.3: If you click on the Ini button (to the left of Run above), you will go to a screen that enables you to change the size of the output image. The Section field on the right has many options that include the resolution of the final image as well as whether Anti-Aliasing (AA) is used. Try changing the resolution and look at the differences between anti-aliased images and non-anti-aliased images. Note however, that the output images will always be saved in either .bmp or .png format. You will have to use another program to convert them to other formats if you are interested. We have explored making simple cad images in MLCad, generating a .pov file using L3PAO, and rendering a high-quality bitmap image using POV-Ray. You should read through the .pov file and try to figure out what the different parts do. You can change their values and re-render the image to see what impact your changes have. Just remember that POV-Ray saves the changes on top of the original file, so you may want to make a backup first. There are now several MATLAB packages for robotics, and specifically for the NXT. 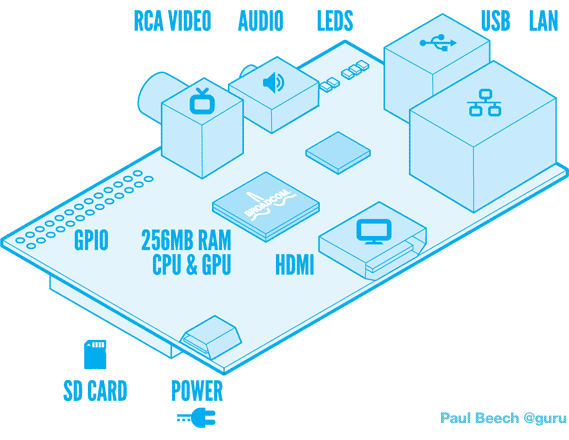 One paradigm is to run the code on a PC and have it communicate direct commands to the NXT Brick via Bluetooth or USB. I have found this paradigm to be a bit dangerous since in the event of a MATLAB crash or a miscommunication, the NXT Brick will continue with its last command until ordered to stop. This has the potential to destroy your robot. The paradigm that I prefer to use is to write several programs that run on the brick. These programs take commands from files on the brick that can be uploaded rapidly from the PC. 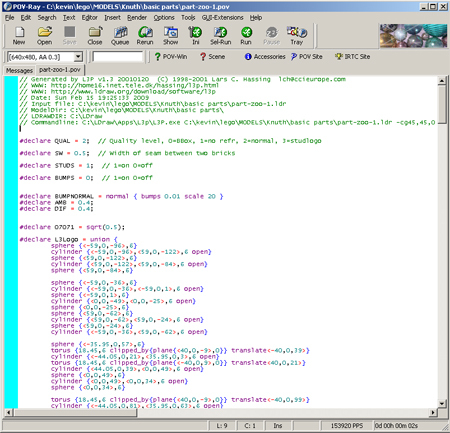 The MATLAB code then is in charge of sending the command files and starting and stopping programs. In the event of a MATLAB crash or communication failure, the software running on the NXT Brick can be designed to terminate gracefully. Here are the MATLAB packages that I know of. The first two are specifically geared toward the NXT; whereas the last is a general robotics package. The complete detailed building instructions can be found here in this 94-page pdf file. Warning: it is about 9MB in size. 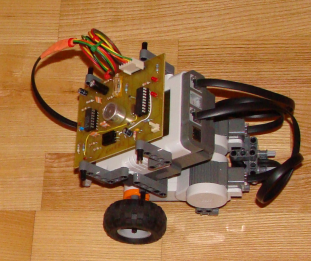 The design is not entirely compatible with the standard NXT Mindstorms Kit. This design relies on two touch sensors, several 1×9 bent liftarms, and as far as I can tell from Peeron, the NXT Kit has only two. This may require a little redesign. Other compatibility issues and their solutions can be found in the Parts List in the instructions. Remember to download the software DriveSmart here as well. Installation instructions can be found in the zip file. There are two threads that monitor the bumpers. bumper has been pressed and the robot will veer away from the hazard. This thread monitors the ultrasound rangefinder. The robot can roam about a wide variety of rooms and not get stuck. He does not detect stairs though! So be careful.